The Future is NOW; Top Industry leaders define and discuss how Blockchains, Virtual Reality, and Augmented Reality ALREADY shape their best business practices and what the savvy business executive needs to know about the wave of the future where these technologies apply. Emerging Technologies are transforming every industry as we know it. We have had holograms, 3-D renderings, virtual reality, hover boards, and the ability to have crypto currency, VR, and AR for years. We have seen it in books, tv, and movies but what does this “futuristic” way of life really mean to you and your business? A lot of these technological advancements are still seen as something we may be dealing with in the next decade but behind the scenes this “emerging technology” is HERE and it is happening NOW. It is changing real estate, health care, book keeping, video games…in short, the only comparison we have to date is the internet…making these technologies the most disruptive to our status quo that we have seen in several years! 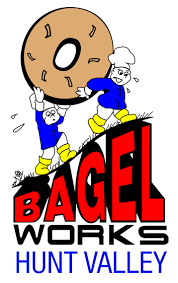 Thank you to our breakfast sponsor, Bagel Works Hunt Valley!